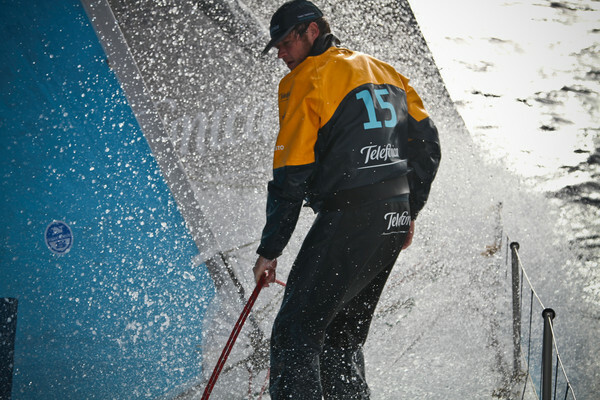 It has been a long, hard night for PUMA Ocean Racing powered by BERG (Ken Read/USA), who have been fighting to stay in pole position on Leg 6 of the Volvo Ocean Race to Miami. As the leading trio of PUMA, CAMPER with Emirates Team New Zealand (Chris Nicholson/AUS) and Telefónica (Iker Martínez/ESP) fought against black, wind-sucking clouds in the midst of the Doldrums, PUMA bled miles continuously throughout the night. PUMA’s lead of 30 nautical miles (nm) from Telefónica at 1300 GMT on Monday was eroded painfully when, at 1900 GMT, CAMPER swept into second position, 26 miles astern. Throughout the night, hard-pushing CAMPER and Telefónica continued to apply the pressure, closing to within seven nm at 0400 GMT this morning. By 0700 GMT, the margin had narrowed a fraction more to just 6.2 nm, with third-placed Telefónica just a mile astern of CAMPER. 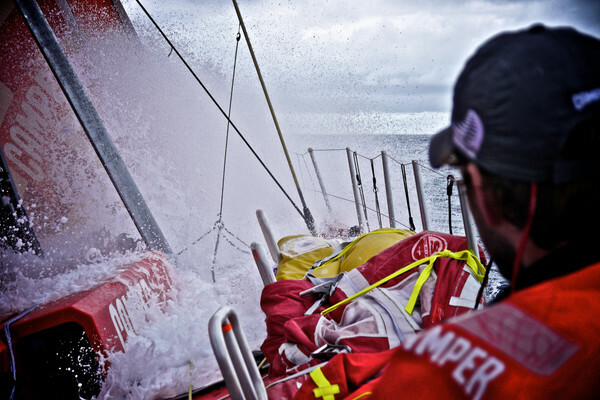 As the squalls rolled through, bringing rain with them, the crew of PUMA tried every sail they had on board to keep the black boat moving, but to no avail. 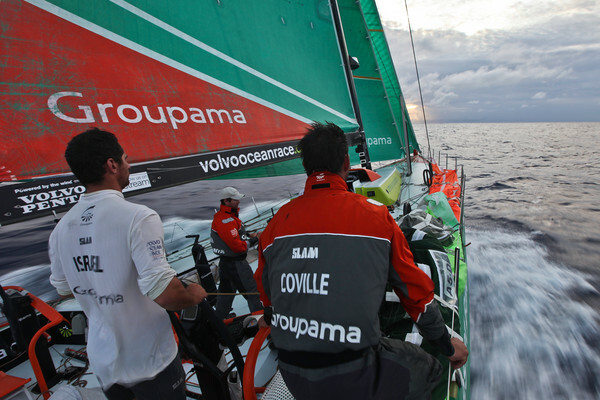 A final squall brought CAMPER and Telefónica within sight, while PUMA lay becalmed with only the mainsail hoisted. There was not enough breeze even to unfurl a headsail. With the keel canted to one side to prevent the boom from sweeping uncontrollably across the deck, the PUMA crew could do nothing. 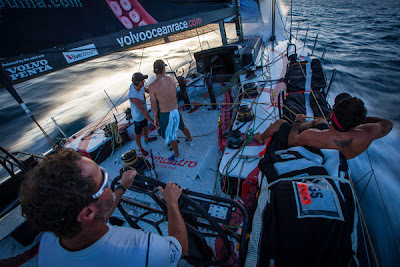 Meanwhile, Abu Dhabi Ocean Racing (Ian Walker/GBR) have been able to bring their deficit back under 100 nm and at 0700 GMT were 82.7 nm adrift of the leaders. Groupama (Franck Cammas/FRA), who have also been struggling for much of Leg 6, are poised to break through the 100 nm barrier too, as both teams continue to make good speed while the leaders hit the wall in the Doldrums. 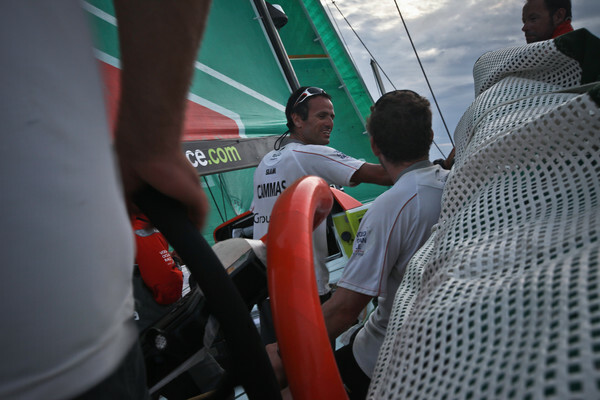 The leading pack is 290 nm southeast of Cayenne in French Guiana, making a miserable average speed of three to four knots. Today is set to be another painful once as the fight to reach the steady northeast trade winds continues.